PCO is a leading Pioneer in Cameras with more than 30 years of expert knowledge and experience developing and manufacturing high-end imaging systems.The company’s cutting edge sCMOS and high-speed cameras are used in scientific and industrial research, automotive testing, quality control and a large variety of other applications all over the world. German-based sCMOS pioneer PCO has just introduced the latest addition to its camera family: the pco.panda 4.2 bi (back illuminated). In 2017 the predecessor pco.panda 4.2 with a front illuminated sensor had its first public appearance. PCO is one of the three inventors and developers of the scientific CMOS (sCMOS) sensor. The company is pioneering a new generation of high-performance cameras that are used in countless applications. Before introducing sCMOS to the market, scientific applications had to compromise between CMOS sensors for high frame rates or CCD sensors for high image quality. Thanks to new developments in sCMOS sensor design, users now get the highest resolution, dynamic range, quantum efficiency and frame rates with the lowest readout noise. PCO’s sCMOS camera systems provide these desirable characteristics combined with special microscopy readout modes. What makes the new pco.panda 4.2 bi so special? 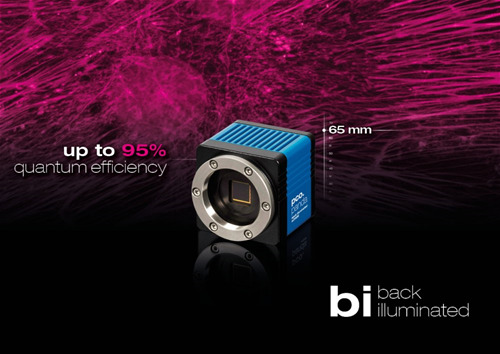 PCO is the first company worldwide bringing back illuminated sCMOS cameras with nearly perfect quantum efficiency in an ultra-compact design onto the market. On top of that, pco.panda 4.2 bi comes in a small form factor camera design of only 65 x 65 x 65 mm³. PCO’s renowned sCMOS features and the camera’s compact dimensions make it of peculiar interest for microscopy and life science technology. The pco.panda cameras especially see their use in the fields of Structured Illumination Microscopy (SIM), Localization Microscopy (PALM, STORM, dSTORM, GSD...) and a broad range of further microscopy and life science applications. How did PCO experience the product introduction? Where can you get further info? Visit www.pco-tech.com and learn all about pco.panda 4.2 bi’s further technical details in its product data sheet. If you have questions on the availability or would you like a quote, you will also find a contact form to get in touch with PCO directly. 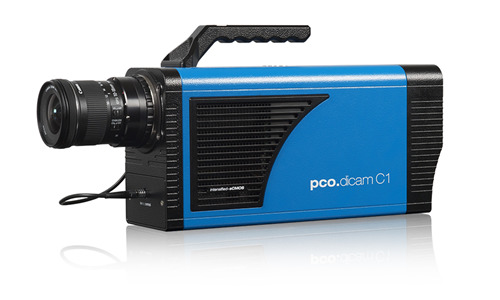 To learn all about the pco.dicam C1 download the data sheet and white paper from our website www.pco-tech.com! Innovations aren’t always about having that one big new idea. Unique technology also comes from evolution, combining existing and new technology! When our tried and trusted pco.edge series pools forces with modern back-illuminated (bi) sensor technology, the result is our pco.edge 4.2 bi! The flexible cooling system allows the use of air or water to cool the sensor down to -25 ° C. At this temperature, the dark current is reduced to 0.5 e-/pixel/s. Its 16 bit back-illuminated sCMOS sensor technology, high resolution and 6.5 x 6.5 μm² pixel size guarantee high-quality images with quantum efficiency up to 95 %. The pco.edge 4.2 bi incorporates a powerful USB 3.1 interface complementing its performance. Are you working in life science, physics or another application demanding high quantum efficiency, deep cooling with a small form factor? Then the pco.edge 4.2 bi camera system is for you! More information can be found at www.pco.de. PCO is the first company worldwide bringing back illuminated sCMOS cameras, pco.panda 4.2 bi, with nearly perfect quantum efficiency in an ultra-compact design onto the market. 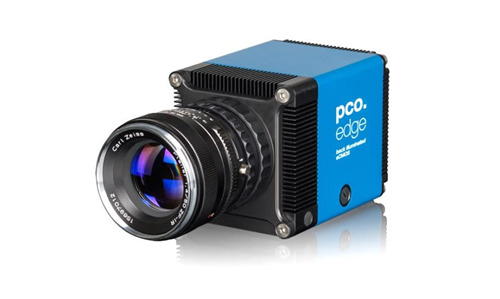 pco.edge 4.2 BI camera - PCO new deep cooled sCMOS camera using the latest back-illuminated sensor. pco.edge4.2.bi camera is based on a new mechanical design to achieve a very low sensor temperature that guarantees extremely low dark current contributions built for imaging applications requiring long exposure times. Compact and cost-effective solution for wide range of Life Science and Physical Science imaging applications Science and Physical Science imaging applications. To learn more about the pco.edge 4.2 bi, please download the data sheet and white paper from our website www.pco-tech.com. If you have questions on the availability or would you like a quote, on our website you will also find a contact form to get in touch with PCO directly.